Filip Forsberg got the hat trick, and the only goals for the Nashville Predators, in the team’s 5-3 loss to the Edmonton Oilers on Saturday. Assisted by fellow alternate captain Ryan Johansen, the winger began his hat trick with a one-timer from one knee while on the power play with 1:14 left in the second period. The goal cut Nashville’s deficit to 2-1. His second goal came 4:43 into the third period as Johansen hit Forsberg cutting through the slot wide open. Once again, Forsberg’s goal cut the deficit in half, this time to 4-2 as the Predators tried to stay in striking distance. The Forsberg-Johansen duo teamed up once more as Forsberg connected on his second power-play goal, this time a wicked shot from the point, with 4:06 remaining in the third period. Nashville trailed 4-3 after that goal, but Drake Caggiula’s second goal of the night gave Edmonton a two-goal lead with less than two minutes remaining. 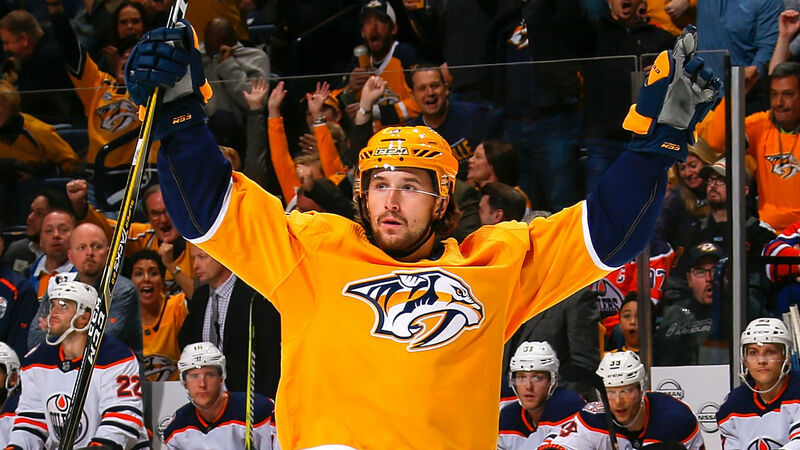 Saturday’s hat trick was the sixth of Forsberg’s NHL career. The 24-year-old now has 14 points for the season (10 goals, four assists). Why is Ricky Hatton in Tyson Fury’s corner and what is his job title in the Fury camp?